Is there an option to create more order status' in the store? We have numerous steps of an order and it would be really helpful to change the status as an order moves through our system. This can be a huge subject. 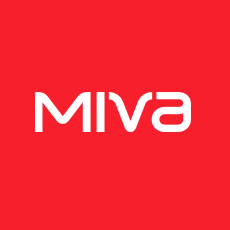 Are you still using Miva 5.5 (you're in the 5.5 forum)? As I recall, there were limited capabilities. They can be considered limited even in the latest 9.11 version. Your phrase "numerous steps" implies, to me anyway, that you may have more status levels than the latest merchant version supplies. The likely solution for you is the use of custom order fields. I think they existed in 5.5 (it's been a while). Using the custom order fields, you could set up a tracking system with one or more fields. You would need to build forms that could change/update specific orders. Then, if you need to send emails to customers about the change in the status of an order, they could be triggered in the action section of the form. If this is a service you need to be provided, please don't hesitate to let me know. What help do you need today! My T-shirt Collection is mostly MivaCon T-shirts!! I am on the latest version. I just posted here out of habit. This would be the normal set of phases. Many of our orders take 4-7 weeks to produce and that is a long time for customers to log back in to just see "pending" all the time. Yep, My suggestion is Custom Order Fields to identify these added statuses. The lookup could also be added to the order status screens when the customer comes back to the store to review their order.